Nothing could have prepared me for this incredible experience. 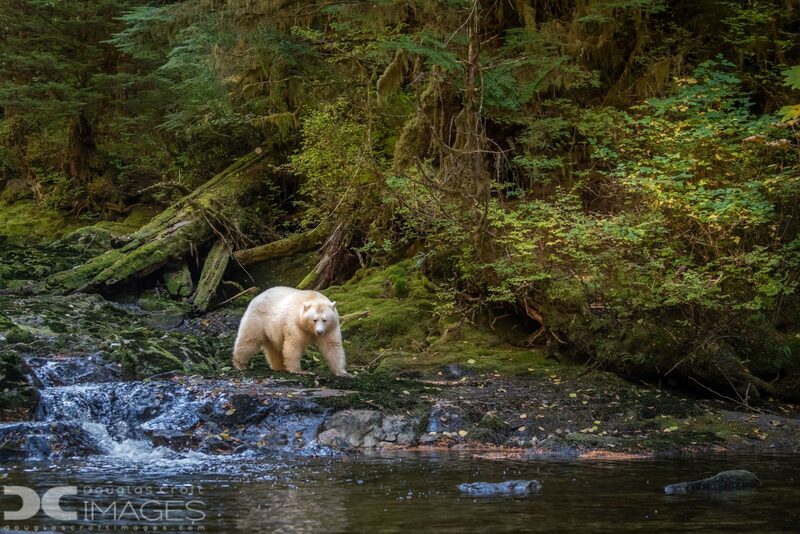 The lush green beauty of the rainforest could only have been up-staged by something as striking as the Spirit Bear that lives there. But rather than up-stage, the white bear enhanced the old growth forest, creating an unbelievable contrast that defied adjectives. In fact, all words failed at that point and we sat in awe just trying to comprehend what we were seeing.